We want to talk about newborn photography. 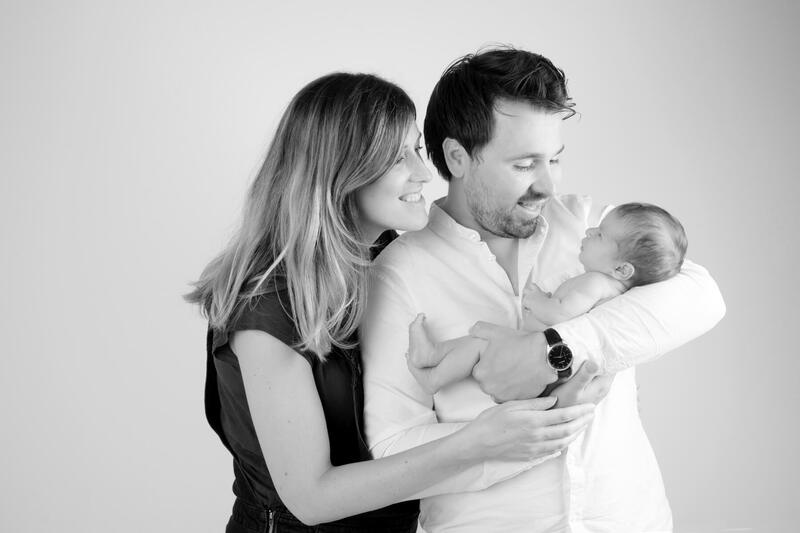 As family photographers it’s a core part of what we do and we love it. The birth of your baby is miraculous. Your heart is fit to burst with love for this new little person who’s turned your life upside down. But what’s also true is that those early days can also be really hard. 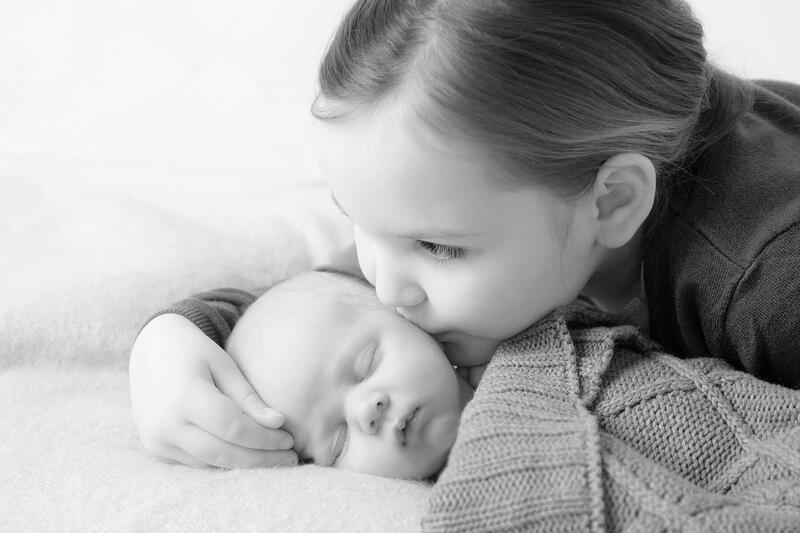 When our son was born I was not in a place where I could face newborn photographs. The emergency section definitely didn’t help. And it was 2006; the only camera we had available was our SLR. 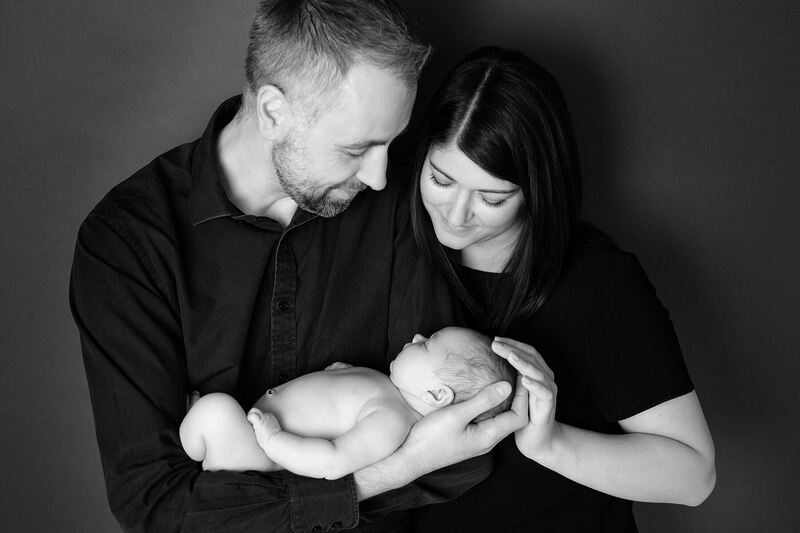 But we knew we wanted some early photographs of our gorgeous son (and yes it kind of helps when your husband is also a professional photographer). So we took some photographs in our first-time-parent-haze and I’ll always be glad we did. We get that it doesn’t always feel picture perfect, but we wouldn’t be doing our job as family photographers if we didn’t encourage you to hire a professional, or try some photographs yourself at home. So we thought we’d share some of our tips so you can always remember these precious early days. 1. 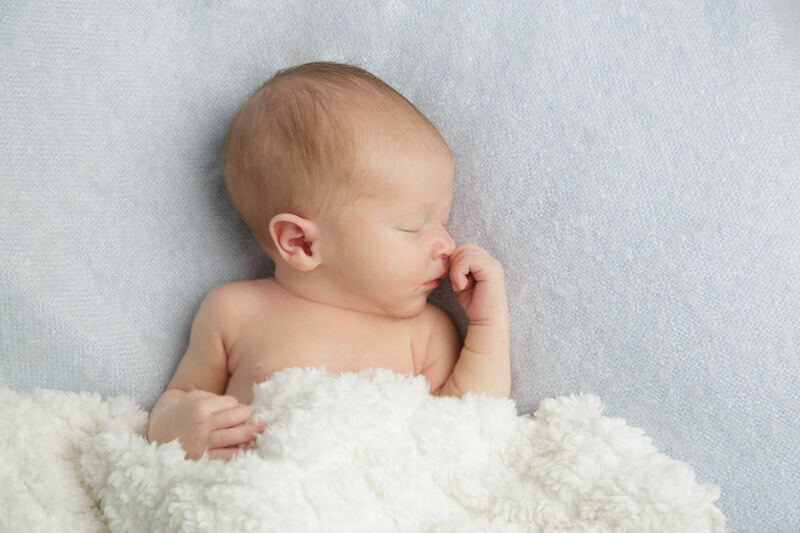 When is the best time for newborn photography? 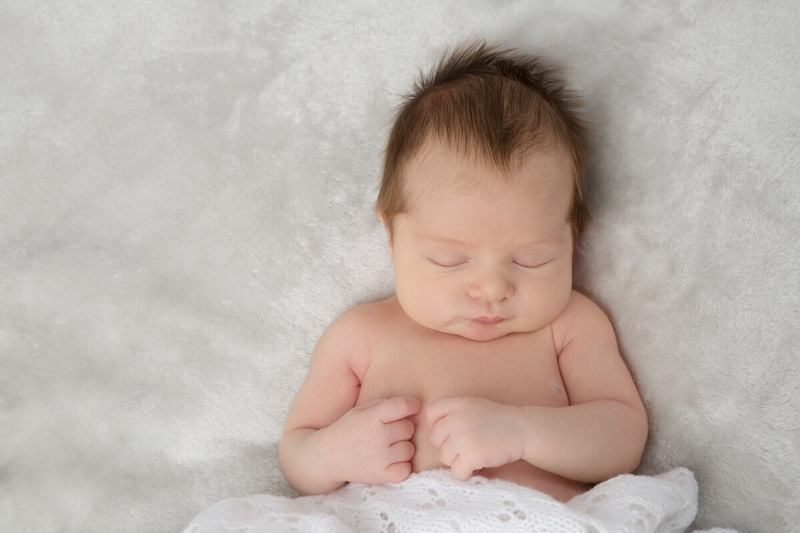 The first two weeks are ideal for professional newborn photographs. Yes we can photograph newborns after this, but it can be trickier as baby can be less settled and not so newborn. Babies grow and develop so quickly that you’ll see huge changes within the space of days and weeks. Getting the time of day right can also be a factor. In our experience morning are often best for a lot of babies (and truth be told, for Mums and Dads). 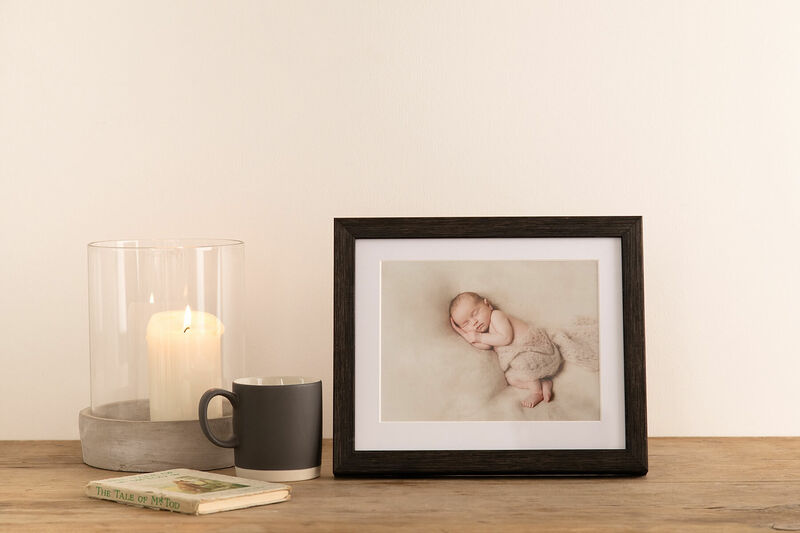 For the photographs you’re taking at home make you have plenty of time so it’s when you and baby are feeling most relaxed. We always ask if mum and dad want to be in the photographs. While you probably won’t feel very photogenic (few of us do in the first few weeks) remember we’re on your side. Whether it’s a gentle family cuddle, or a moment between dad and baby we think it’s worth capturing. In the years to come these photographs will be so important. And if new baby has siblings? Well then you definitely want them to get involved. Our photography studio on Morningside Road has lots of space so we can invite big brother or sister in for a short time and they can chill out or play in the lounge while we capture new baby on their own. If you’re photographing siblings at home, make sure it’s as chilled as possible. Try letting your older child feel how soft baby’s head is, or get them to tuck in a blanket (while you’re poised with the camera of course). Hands and toes are so small and you’ll forget just how tiny they are. So we say don’t forget and photograph them. 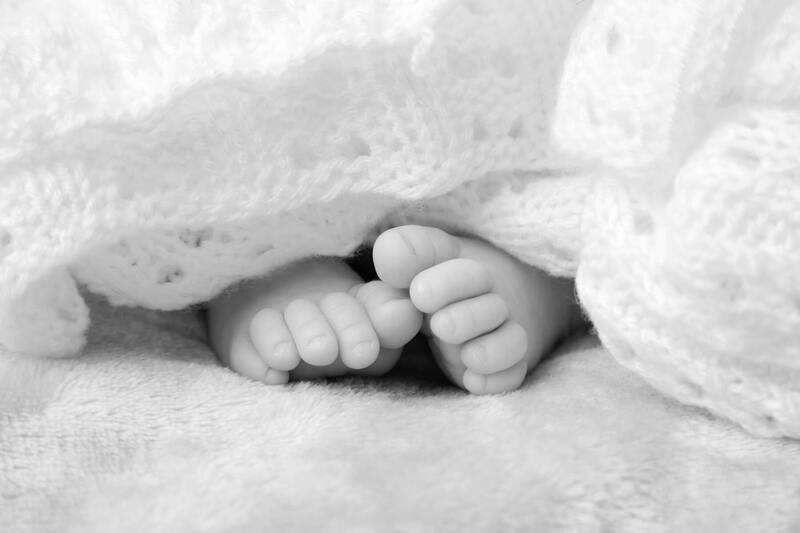 Is there anything more cute than a pair of teeny tiny squishy baby toes? We think not. These images can be great for thank you cards and for starting to record your little one’s progress. Controversial I know but we’re big fans of timeless. We deliberately don’t go in for over-propping as it doesn’t suit our personal photography style and taste. We do encourage blankets as it’s cosy for baby and if you’ve been given one then it’s a super special thing to capture. If you’re taking photographs of baby at home our advice would always be to keep it simple. Using your bed as a backdrop can work brilliantly (especially if you have neutral bedding – we’re fans of the White Company linens) and again any soft and tactile blankets you may have. Always be safety conscious when shooting newborns. iPhones and tablets are incredible and they keep getting better. But images saved here will not stand the test of time. Harsh but true. Whatever you do, make sure you print the photographs. They will mean so much to and to those who visit your home. Put them on your wall. Buy a large frame and put it in the lounge. 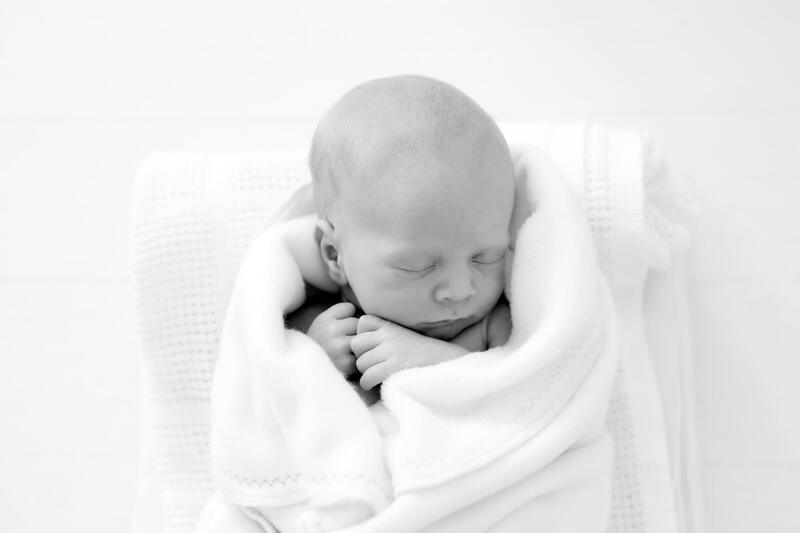 Get in touch if you’d like to book a professional newborn shoot as we would be delighted to meet your little one. And if you fancy picking up some camera skills to capture more of your own lifestyle photography then why not book on one of our Blue Sky Academy courses.